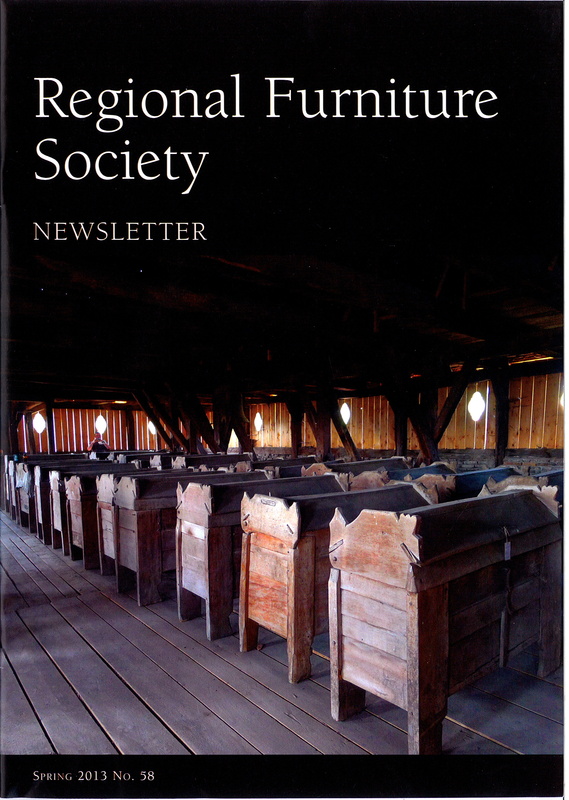 The latest issue of the Regional Furniture Society Newsletter has been published and sent out to current members. It contains an extensive report on last Autumn’s trip to Romania as well as accounts of several recent visits, listings of future events and reviews. There are two editions each year of the newsletter and it is free to members. A list of past articles and contributors is available here. Join the Regional Furniture Society here and receive your copy of the newsletter.